Wonderful video using the Dalai Lama’s words. We’re all equal in our search for happiness and our humanity. Simple. Lovely. Touching. If anyone’s in London on Tuesday 19 June at 2:00pm you can also go and see him at the Royal Albert Hall. Let me know if you do! 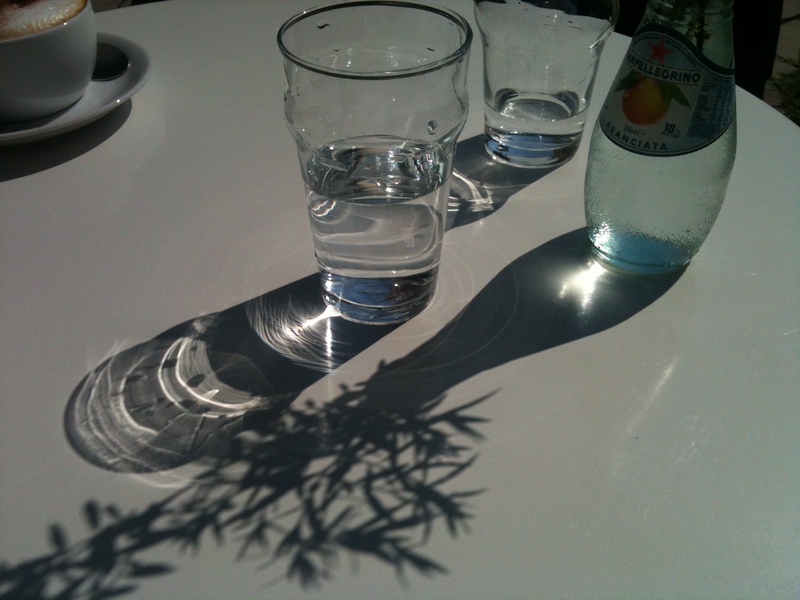 The sunshine is back – hoorah! 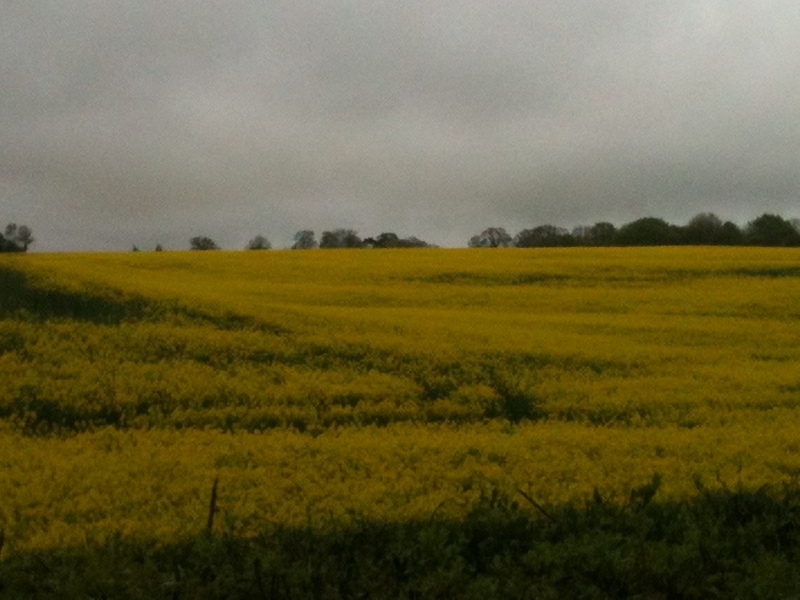 The fields of rapeseed that are in full bloom at the moment – swathing the land with the most brilliant yellow. Buttercups, bluebells and wild garlic abound at the moment too. 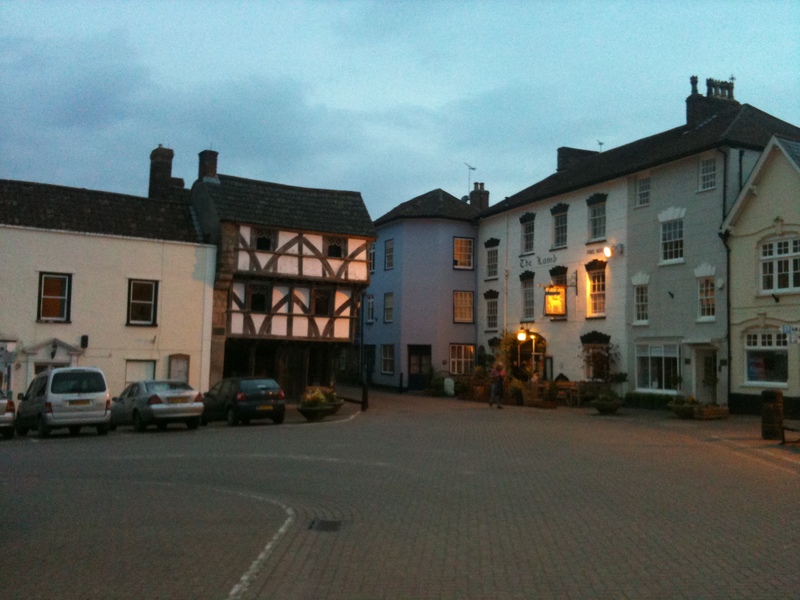 A weekend away with Guy – south of Bristol. Soooo relaxing – a real tonic. 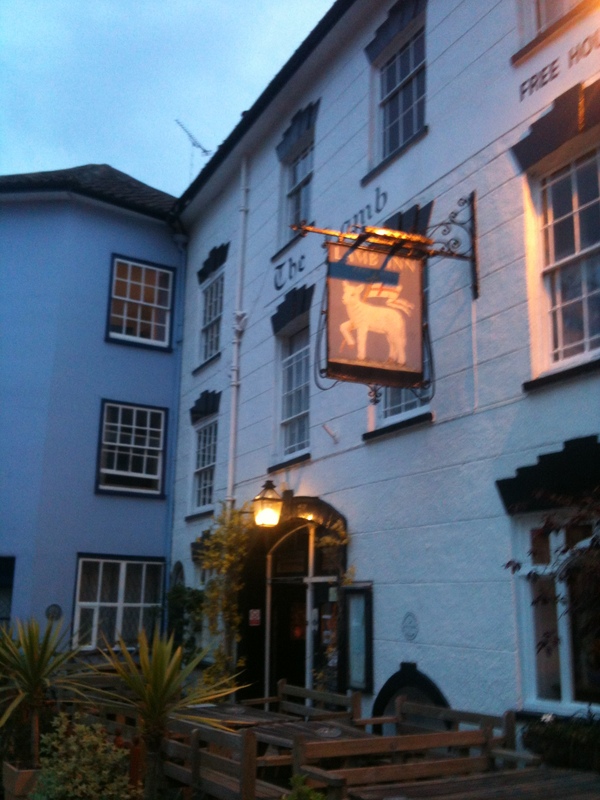 This was where we had supper on Saturday night – The Lamb at Axbridge (right). Today I spent two wonderful hours doing homework for Julia’s class teacher. As the class are writing their autobiographies at the moment he wanted us to do a write-up of our children, complete with illustrations and anecdotes. Later he’s going to paste these mini-essays into the children’s books as a surprise for them. This has been a ’roundtoit’ job for a few weeks now but today I put aside the time and dived in. What a gift it was! I highly recommend this exercise as a way of getting very present to your loved one. Suddenly all the other niggles you have about them fall away as you ‘pan out’ to a much wider angle and get the big picture. Wonderful. Thank you to everyone who sent their best wishes to Guy’s father. He is still in hospital as they cannot work out what’s wrong with him – he’s having every test under the sun. He’s receiving excellent care though and because he’s so near to home (the hospital is only half a mile away from his house), then most of his neighbours and friends from church etc. have already been to see him. True to form, George is in good spirits and I’m sure telling some great yarns to all the nurses. I’ll keep you posted on his progress. Hopefully he’ll be at home in time for Christmas. Guy has now worked things out to spend some time with his Dad AND be at home for Christmas eve which is wonderful. I considered this – it sounded true but why? I think it’s because gratitude is only possible with conciousness. Conciousness is attention. Attention is Presence. Think of contemplating a beautiful flower and feeling gratitude. We cannot do that and not be in the Now. So, one could even say that gratitude is like a mini meditation – a wonderful way of shutting out all the other chatter. In other words gratitude brings us closer to spirit and flow – the natural home of happiness.